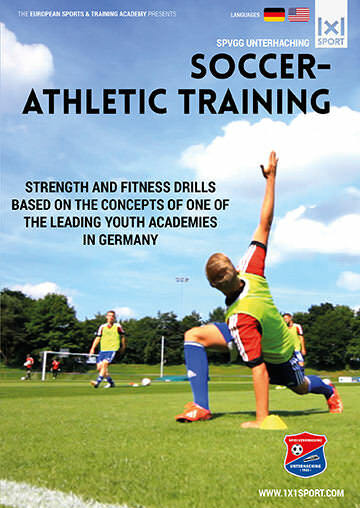 The Unterhaching Youth Academy is renowned for its player development since it has been responsible for producing a number of current and former pro players. The ‘alumni’ of the Academy are known to be in excellent physical shape when they move on to the first team or other pro clubs. Responsible for their athletic development is George ‘Schorsch’ Wallner, a highly regarded athletic trainer known for his innovate training methods. Today he wants you to give a few valuable training tips that will be help you to improve your team’s athletic performance. Learn how to create effective workout programs and set up individual training routines specifically geared towards the weaknesses of your players. Coach Wallner thinks that you won’t need expensive tools or devices in order to work on your team’s athletic abilities and he believes that even just a few extra hours of training will prove to be the difference when it comes to gaining an edge over your competition. Lay the foundation for your team's success and get a maximum level of performance. No expensive tools and devices necessary. Work out professionally and in a well-structured fashion. Use this guide on your way to a resilient and athletic body.